This in some senses is the story of two women. One is possibly the best known woman in the world; Queen Elizabeth II. The other comes from a family well known only in the local area of London, Elizabeth Sarah Sunshine, Undertaker. It is such a personal, clever book which actually tells the story of the more obscure and fictional Elizabeth, looking back over decades of a life lived amongst the people of part of London. Her family, her friends and her clients make up the back drop of a woman who stayed in one place despite war, peace, happiness and sadness, and the departure of so many in all senses. This is the story of an ordinary life, but as with all seemingly ordinary lives, extraordinary things happen. In the background there are the comments of the more famous Elizabeth, always interesting, sometimes broadly relevant, always well known. I am very grateful to have received a proof copy of this book from the innovative Legend Press. The two Elizabeths are linked by the same date of birth. One is born royal but never expected to become a Queen, the other is born in a respectable home, but not expected to live. Thus a recurring phrase in the novel is “Keep Baby with Mother”, as the tiny baby and her exhausted mother struggle to survive. Survive she does, and Betsy Sunshine grows, goes to school and makes a friend. This is all described in a detailed way, as she vies with her challenging sister, Margie. As war and the Blitz comes to London, death becomes even more a family business, as even the young Betsy is drawn into the daily job of seeking out and preparing the bodies of the victims of bombs. Grim details emerge of not only ruined buildings familiar from the photographs, but also the sounds and smells of the reality of pulling bodies out of buildings and reconstructing them as far as possible. The physical toughness of her father is described and the shortages of materials makes even the burial of the dead trying, in this vivid description of life at the time. Still life goes on, as the small jealousies of young romances survive and the other Elizabeth appears briefly in the crazy celebrations of peace. 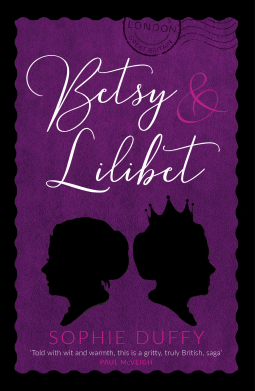 Interspersed with so many memories is the ongoing story of a woman in her nineties, living in a care home, contrasting sharply with the rarefied royal lifestyle of ­­another woman whose thoughts can only be guessed at by the sensible Betsy Sunshine. This is a lovely book, full of real insight into a life of surprising insight from a woman who has frequently stared at death in the face of others. No detail of life is hidden, as Betsy relives her motives for helping others, her hurt at the behaviour of loved ones, her sadness at loss. It is also funny, basic and rewarding as Betsy’s robust sense of humour and love of her family and friends always surfaces even when the circumstances seen grim. There are touching moments as the now elderly Betsy deals with her relatives, as they reveal secrets and fail to shock. Despite some of the subject matter, or maybe because of it, this is a funny and genuinely amusing book.I greatly enjoyed this story of a long life, well lived, a woman of our time with all the humour of a talented storyteller. Life is still busy here at the Vicarage, with University sessions and other things beckoning. As always, so many books, so little time! The Case of the Murdered Major by Christopher Bush – Ludovic Travers in the Army! I really enjoyed it! Thank you for quoting my post on your blog as well! Thank you for this, one for the tbr i think ! Yes, it is a little graphic, but beautifully handled considering the subject matter. Betsy is such a realistic character that I could visualise the lady and almost hear her voice.